Whoa! It just hit me when I wrote the title that I can't believe we are 34 weeks into this year already!! This week's focus is "About the ground." Sally wrote: "This week draw your focus about the ground you may be surprised at what you find." Her words couldn't be more true! We have this hydrangea plant that is not the most cared for plant in the world....this year only two blooms...and they are both pretty much on the ground. So needless to say, my eyes tend to be drawn there. Then one day recently I noticed something on the leaves near the blooms. 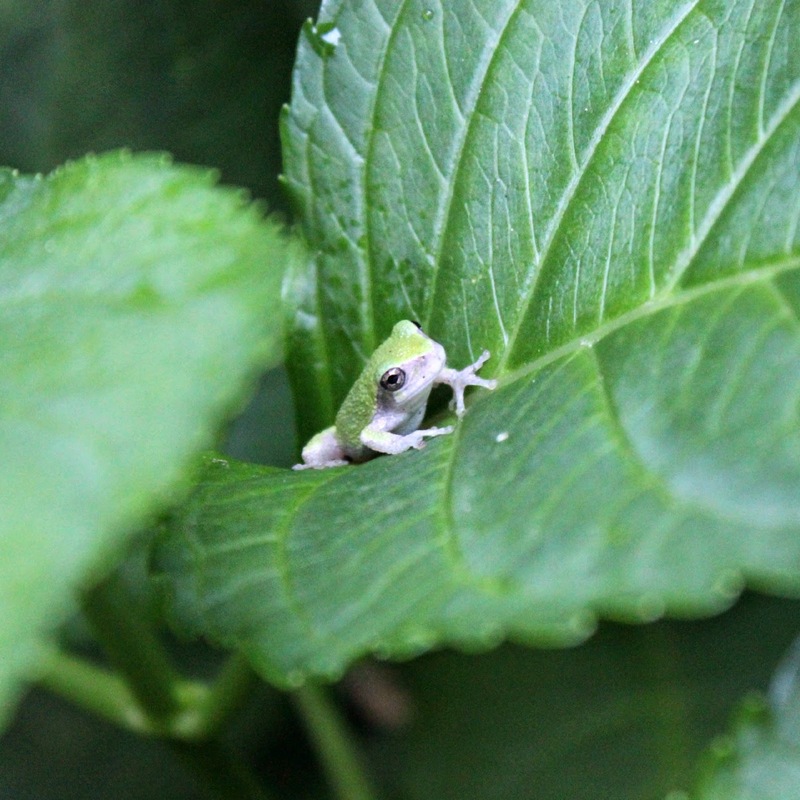 And to my surprise, met this darling little frog! 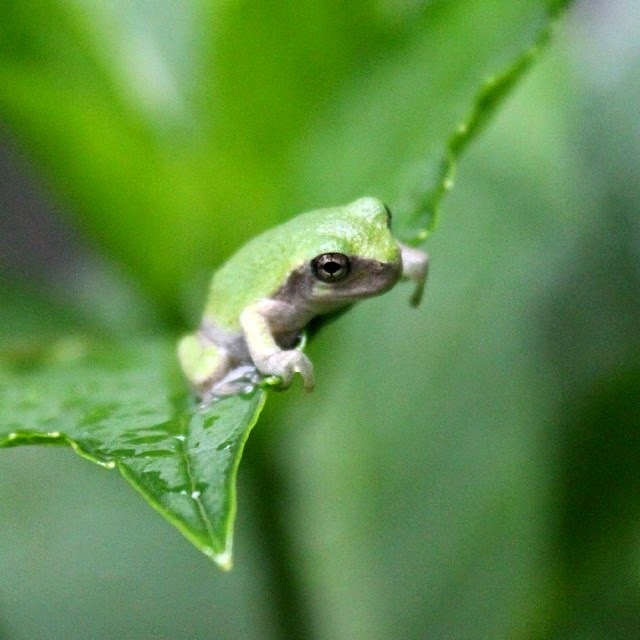 The first day I saw him, he was on a leaf just above one of the blooms. Now I am totally obsessed with taking pictures of him. My son named him George. 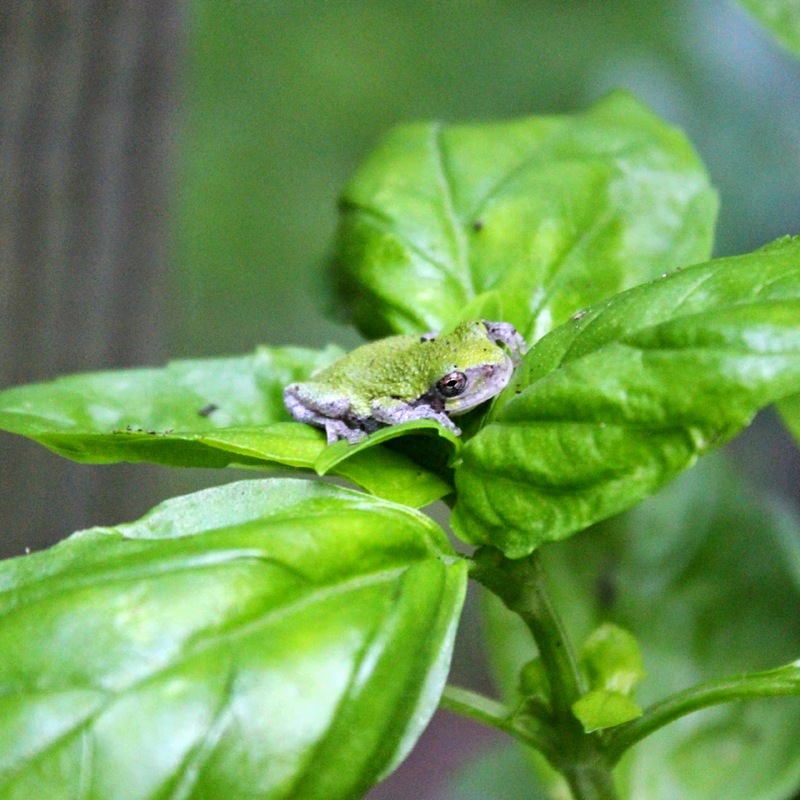 And then, either there are a lot of gray tree frogs hanging around my deck, or this same little guy moved over to the basil plant which is on the deck! I hope he stays forever!! Of course that wish is ridiculous given the weather in New England, but he's so darn cute I can't even stand it!!!! Check out below what other folks are Focusing on this week! My white hydrangea is covered in flowers my blue/pink one had 3 wanna be flowers still buds if the deer haven't eaten them! Cute frog! He is adorable! Seems like he found a wonderful summer camp location and a very sympathetic hostess. Aren't his colors amazing? And even though you say your hydrangea is a bit neglected, the blooms are gorgeous! What a cute widdle fwog!!!!! Our tomato plant was doing great and now it's almost dead. I picked a bunch of green tomatoes off it and am hoping they will ripen on the deck rail but it's not looking too good! What a cute frog. It looks like he enjoys posing for you. Oh my goodness, George is adorable!! Love your photos of him, they're awesome. I'd want him to hang around forever, too - his cuteness is just too much! Get see a few of these guys each year, but I would love for one to take up residence! Love your pictures. 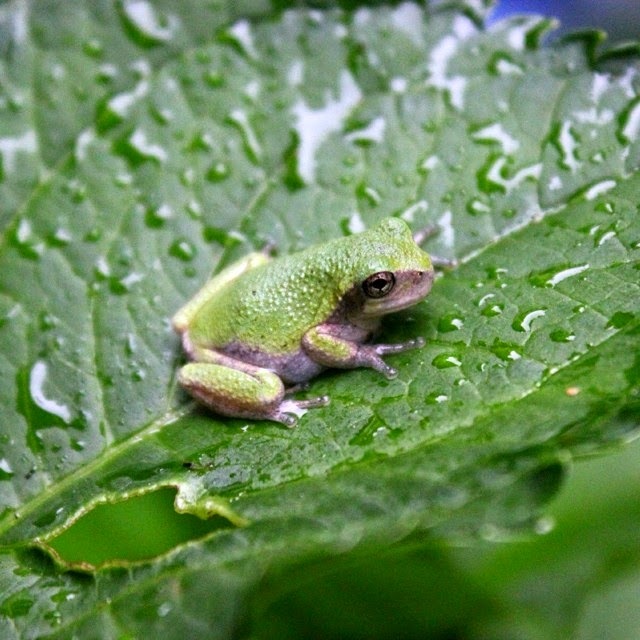 Your pictures of that cute little frog are amazing!